Dental decay is rampant in children and adults, causing tremendous pain and poor quality of life. With few dental professionals available, when pain becomes unbearable, Ugandans ask a fellow villager to extract the abscessed tooth. Lack of knowledge and tools results in many broken teeth. a conference room and library with audio-visual equipment for training and meetings. The dental center was built in honor of Walter Cooper Sandusky, DDS, MS, of Memphis, Tennessee. Dr. Sandusky has a deep passion for dental missions that embodies the heart behind Restoration Gateway’s dental center and he had the opportunity to come to RG in April 2013 for it's dedication. A life-long friend of founder Tim McCall, M.D., Dr. Sandusky has performed dental services at Restoration Gateway and is an avid supporter of the project. 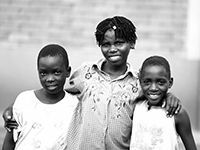 This center provides preventative, restorative, and palliative care for the public in the region as well as the orphans cared for by RG. This will substantially increase the quality of life for people living in the district. Because services are available on an ability-to-pay “sliding scale,” the dental center has the likely potential to positively affect a very high percentage of residents in the district as they will undoubtedly require dental services at some time. We invite you to take a dental mission trip to RG. The dental center is complete and operational and we are in need of dental teams and short-term and long-term dental staff. 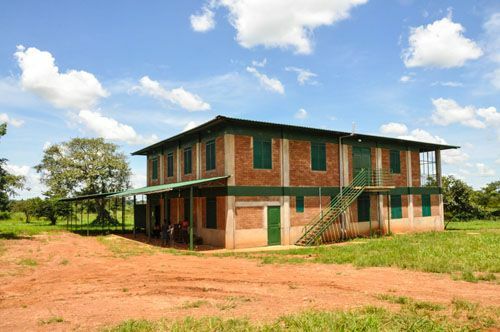 Tell others about the need for dentists and hygienists to come and serve at this facility in Uganda. 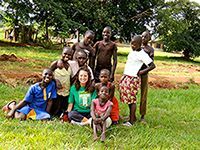 RG stateside staff, or when possible, founders Dr. Tim and Janice McCall, would be happy to meet you and your friends or colleagues that share an interest in dental missions in Africa. Please feel free to contact us to discuss these opportunities!